so is the merc showing their cards already?? are we sanbagging?? or is it a typical Free practice and no one knows where everyone stands?? Well then lets have heat waves for the rest of the season. with the new graphics this year how can I know if a driver is on track or in the pits? Merc looks clear favourite (as expected). Close between us and redbull. I think we can have them in quali, but not so sure about the race. Should be an interesting weekend! It’s just FP1... Ferrari will be close to mercs. I love the under dog in sport the victory is so much sweeter and defeat of the favorite inflicts phyco logical damage that they believe they are beaten and self distruct ferrari can play this game well the pressure is on merc. Would be good to see RAI on long stints in FP2. He seems comfortable with the car light(er) but is challenged when he has a full tank. I reference the past 2 GPs. Remember that we are also analysing our new floor and what is the difference comparing with the old one. Thank god there is no rain for FP1,FP2, we are getting big amounts of data. Any live streaming link plz..!! 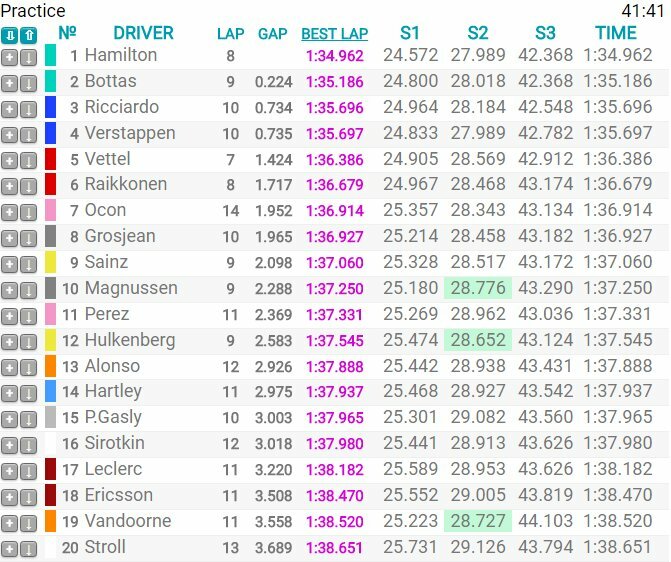 Many test items for Ferrari for FP2, dont expect a fast lap-time from them. As said Ferrari are close now..!! i don't think RBR can win here, will be between Ferrari and mercs again it seems. Mercs struggling on US tyres at rear end. Car is sliding. I'd also like to think that they may try wet weather set ups if rain is looming come the weekend. 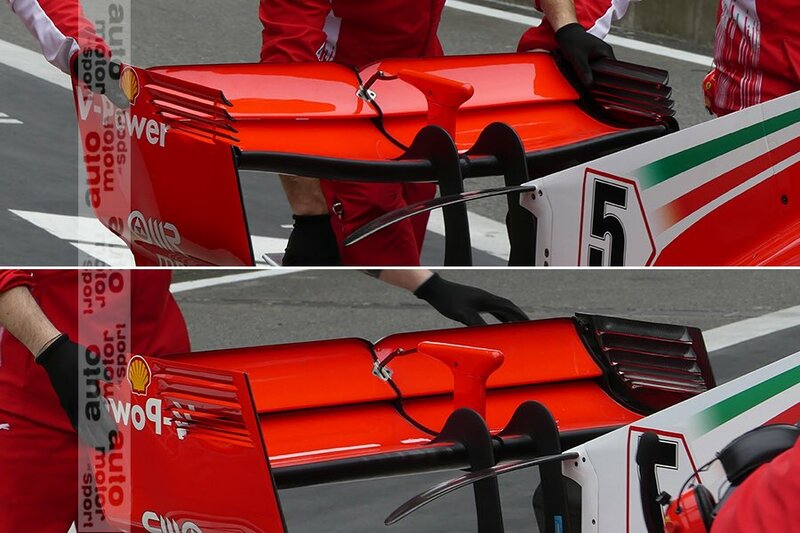 What is that thing just to the left of the tcam that Ferrari have?? Is it a sensor or an additional camera? ?